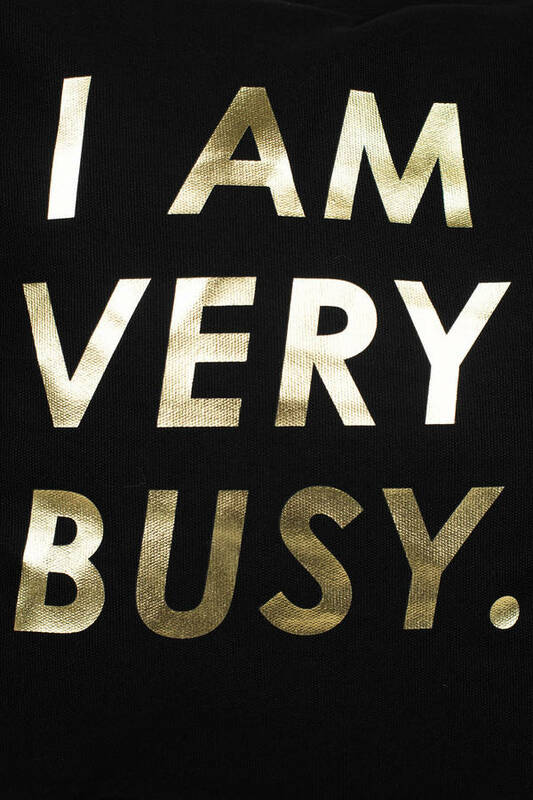 Check out Tobi's I Am Very Busy Canvas Tote Bag Let your tote bag do all the talkin'. 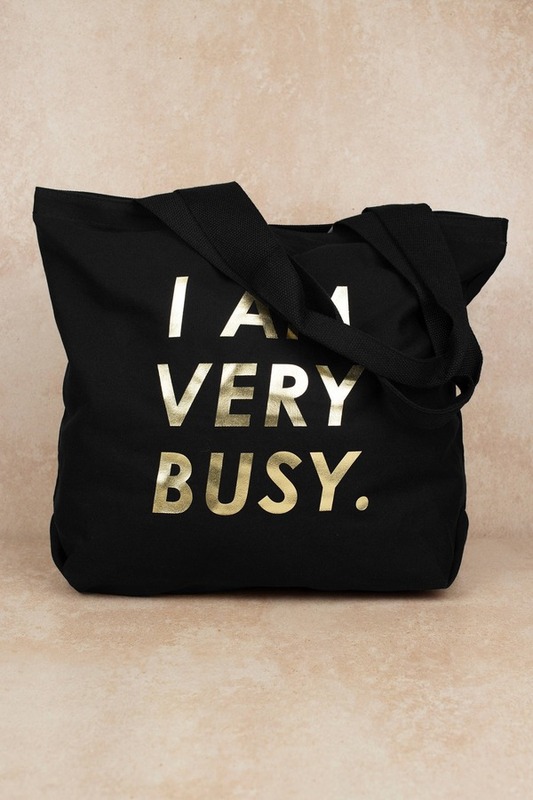 BAN.DO's I Am Very Busy Black Tote Bag features soft canvas, interior pocket, cinched handles, and enough space to hold your laptop, makeup bag, you name it. Use this large tote as an everyday bag, flaunt it at farmers markets, work, school, or anywhere you want to let everyone know you're schedule's full. Let your tote bag do all the talkin'. BAN.DO's I Am Very Busy Black Tote Bag features soft canvas, interior pocket, cinched handles, and enough space to hold your laptop, makeup bag, you name it. 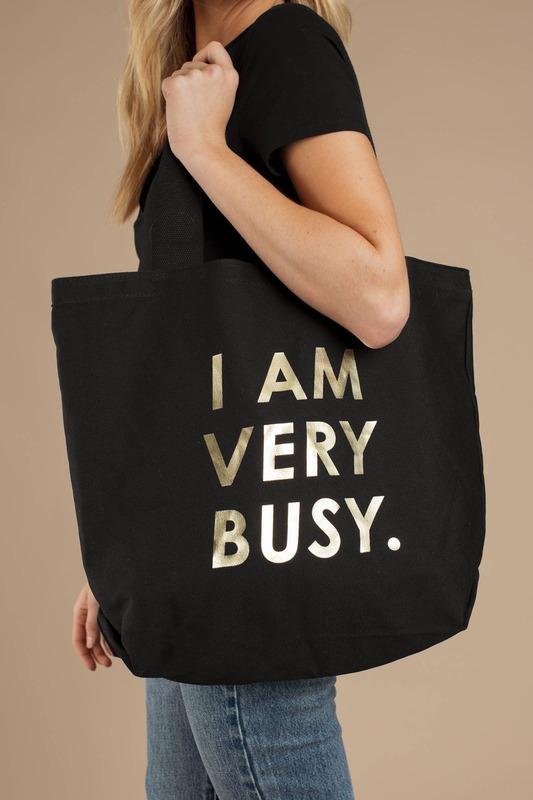 Use this large tote as an everyday bag, flaunt it at farmers markets, work, school, or anywhere you want to let everyone know you're schedule's full.